Feature Finish, 30 Laps: 1. Mitchell Faccinto; 2. Gio Scelzi; 3. Dominic Scelzi; 4. Cory Eliason; 5. Rico Abreu; 6. Justyn Cox; 7. Tim Shaffer; 8. Jason Solwold; 9. D.J. Netto; 10. Shane Golobic; 11. Tanner Thorson; 12. Bud Kaeding; 13. Ryan Bernal; 14. Matt Peterson; 15. Buddy Kofoid; 16. Steven Tiner; 17. Kasey Kahne; 18. Willie Croft; 19. Kalib Henry; 20. Jac Haudenschild; 21. Kaleb Montgomery; 22. Cole Macedo; 23. Colby Johnson; 24. Blake Hahn. Feature Finish, 25 Laps: 1. Lucas Wolfe; 2. Davie Franek; 3. Bill VanInwegen; 4. Justin Barger; 5. Coleman Gulick; 6. Joe Kata III; 7. Kyle Smith; 8. Tyler Jashembowski; 9. Thomas Radivoy; 10. Mike Walter; 11. Eric Jennings; 12. Geoff Quackenbush; 13. Bill Unglert; 14. Floyd Billington; 15. Scott Flammer; 16. Matt Tanner; 17. Scott Goodrich. 305 Sprint Feature Finish, 20 Laps: 1. Johnny Scarborough; 2. Zach Newlin; 3. Billy Ney; 4. Larry McVey; 5. Austin Bishop; 6. Tyler Reinhardt; 7. Kyle Ganoe; 8. Jay Krout; 9. Kirsten Hess; 10. Cale Reigle; 11. Kyle Smith; 12. Ken Duke Jr.; 13. Landon Price; 14. Devin Adams; 15. Nick Sweigart; 16. Jake Frye; 17. Rick Stief; 18. Stephanie Dodson; 19. Dave Wickham; 20. Jaremi Hanson; 21. Darren Miller; 22. Andrew Hake; 23. John Walp; 24. Erin Statler; 25. Richard Lawson. Wingless Sprint Feature Finish, 25 Laps: 1. Justin Grant; 2. Dave Darland; 3. C.J. Leary; 4. Chris Windom; 5. Shane Cottle; 6. Jarett Andretti; 7. Scotty Weir; 8. Cole Ketcham; 9. Chad Boespflug; 10. Clinton Boyles; 11. Ted Hines; 12. Brian Ruhlman; 13. Stratton Briggs; 14. Brian VanMeveren; 15. Matt Goodnight; 16. Dustin Webber; 17. John Gurley; 18. Parker Frederickson; 19. Michael Roehling; 20. Tyler Hewitt. Feature Finish, 25 Laps: 1. Lucas Wolfe; 2. Justin Barger; 3. Jared Zimbardi; 4. Chuck Hebing; 5. Shawn Donath; 6. Davie Franek; 7. Dylan Westbrook; 8. Derek Locke; 9. Joe Trenca; 10. Coleman Gulick; 11. Kyle Drum; 12. Bobby Hackel; 13. Steve Hutchinson Jr.; 14. Matt Billings; 15. Darryl Ruggles; 16. Denny Peebles; 17. Matt Tanner; 18. Jeff Cook; 19. Dave Axton; 20. Scott Holcomb; 21. Jason Barney; 22. Jonathan Preston; 23. Dan Kuhn. Feature Finish, 30 Laps: 1. Jac Haudenschild; 2. Tim Shaffer; 3. Cory Eliason; 4. Craig Stidham; 5. Buddy Kofoid; 6. Gio Scelzi; 7. Terry McCarl; 8. D.J. Netto; 9. Ryan Bernal; 10. Carson Macedo; 11. Blake Hahn; 12. Willie Croft; 13. Colby Copeland; 14. Colton Heath; 15. Tanner Thorson; 16. Aaron Reutzel; 17. Kasey Kahne; 18. Austin McCarl; 19. Justin Sanders; 20. Kyle Hirst; 21. Chase Johnson; 22. Shane Golobic; 23. Cole Macedo; 24. Andy Gregg. Feature Finish, 30 Laps: 1. Daryn Pittman; 2. Donny Schatz; 3. Sheldon Haudenschild; 4. Shane Stewart; 5. Joey Saldana; 6. Brad Sweet; 7. Jason Sides; 8. Ian Madsen; 9. Kraig Kinser; 10. Brent Marks; 11. Brock Zearfoss; 12. Kerry Madsen; 13. Brian Brown; 14. David Gravel; 15. Sam Hafertepe Jr.; 16. Hunter Schuerenberg; 17. Jacob Allen; 18. Cody Ledger; 19. Mason Daniel; 20. Greg Wilson; 21. Wayne Johnson; 22. Logan Schuchart; 23. Lynton Jeffrey; 24. Don Droud Jr. Feature Finish, 50 Laps: 1. Willie Croft; 2. Colby Copeland; 3. Ryan Bernal; 4. Buddy Kofoid; 5. Jac Haudenschild; 6. Gio Scelzi; 7. Shane Golobic; 8. Justyn Cox; 9. 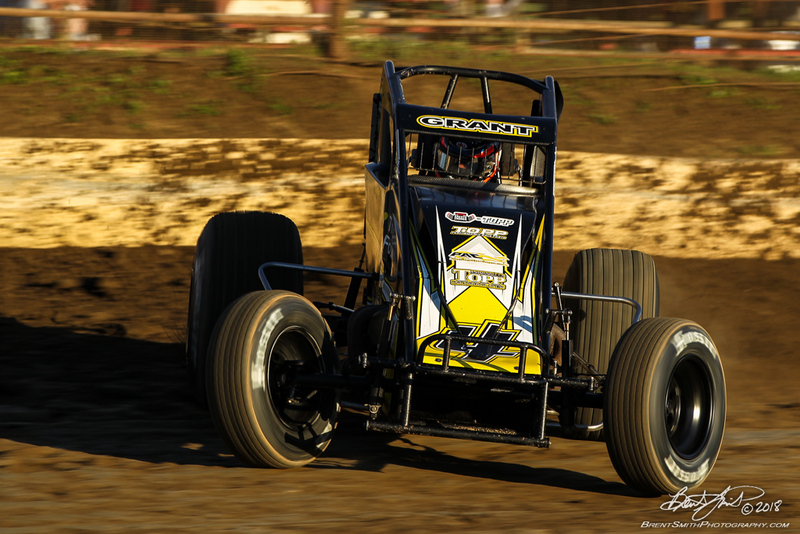 Cory Eliason; 10. Carson Macedo; 11. Tim Shaffer; 12. Bud Kaeding; 13. Dominic Scelzi; 14. Mitchell Faccinto; 15. Terry McCarl; 16. Kalib Henry; 17. Aaron Reutzel; 18. Colton Heath; 19. Jason Solwold; 20. Tanner Thorson; 21. D.J. Netto; 22. Rico Abreu; 23. Craig Stidham; 24. Blake Hahn. Trophy Cup Champion: Jac Haudenschild. Feature Finish, 30 Laps: 1. Donny Schatz; 2. Ian Madsen; 3. Daryn Pittman; 4. Brad Sweet; 5. Brian Brown; 6. Logan Schuchart; 7. Brent Marks; 8. Shane Stewart; 9. Hunter Schuerenberg; 10. David Gravel; 11. Joey Saldana; 12. Jason Sides; 13. Sheldon Haudenschild; 14. Brock Zearfoss; 15. Sam Hafertepe Jr.; 16. Kraig Kinser; 17. Don Droud Jr.; 18. Jade Hastings; 19. Adam Gullion; 20. Greg Wilson; 21. Steve Richardson; 22. Wayne Johnson; 23. Jacob Allen. KOKOMO SPEEDWAY (Kokomo Clash): Postponed to Sunday, Oct. 21.